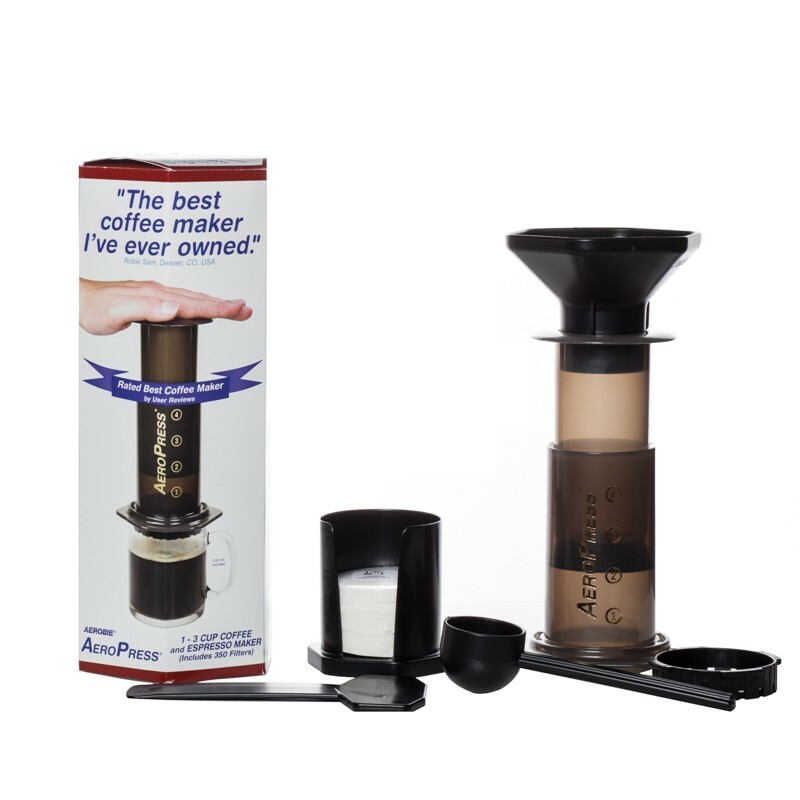 The AeroPress is a device for brewing coffee. It was invented in 2005 by Aerobie president Alan Adler. 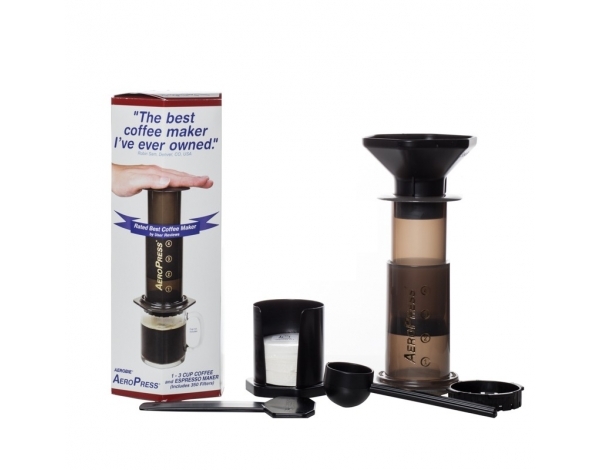 Coffee is steeped and then forced through a filter by pressing the plunger through the tube. 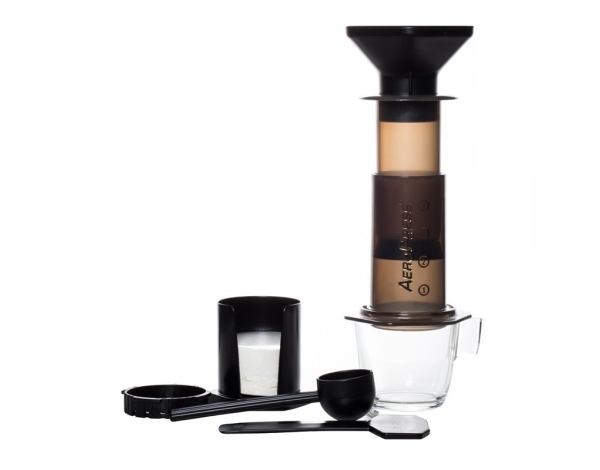 The filters used are either the AeroPress paper filters or disc metal filters. 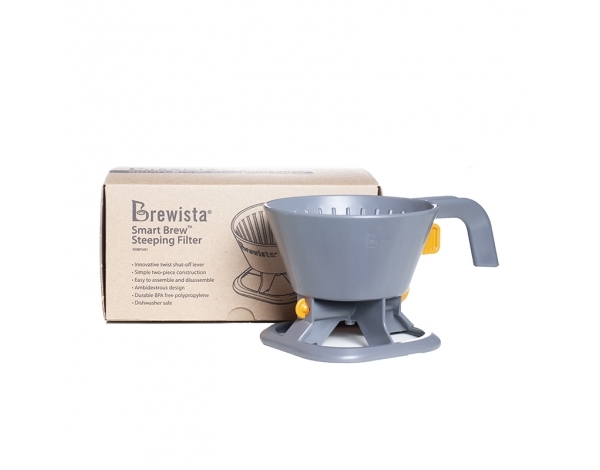 The maker describes the result as an espresso-strength concentration of coffee, but its most frequent use is more in the filter brew strength. The device consists of two copolyester cylinders. One cylinder has a rubber plunger and fits inside the larger cylinder to create an airtight seal, similar to a syringe.